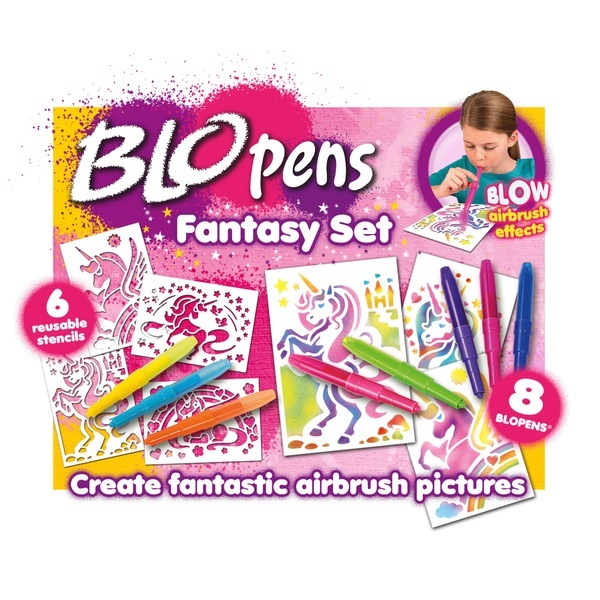 Kids will love Blo pen's as they can easily create fantastic pictures with amazing airbrush effects. With the Fantasy Set, there are 6 great stencils to create some wonderful colourful pictures. Just put a stencil on a sheet of paper, blow through the pen and see your drawing appear. Blow in lines or circles as well as blowing harder and softer for different effects, and then use the same pens to colour-in extra detail for a perfect finishing touch.